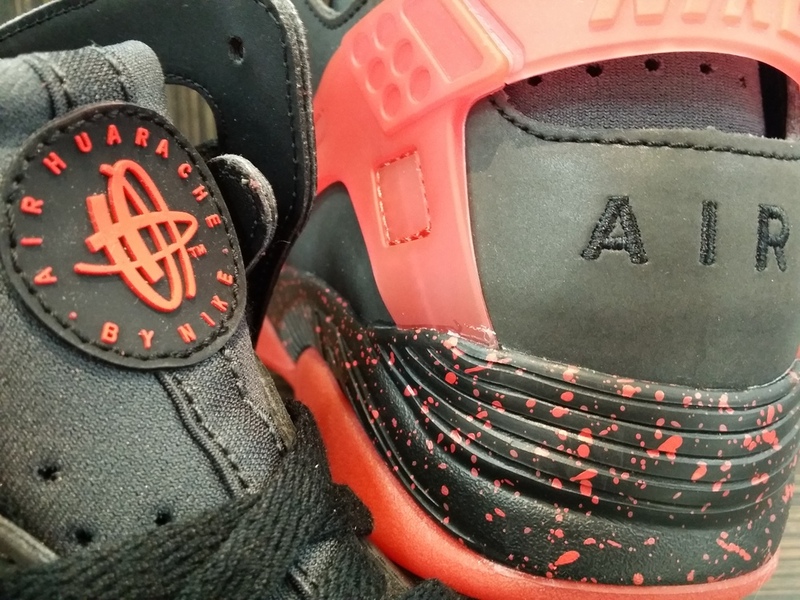 Nike Sportswear is officially set to release their Nike Air Trainer Huarache “Love/Hate” Pack The pack includes the Nike Air Flight Huarache Premium dressed in Black/Anthracite-Challenge Red and the Nike Air Trainer Huarache Premium in Challenge Red/Black. Sometimes, all it takes is a little change to make a big impact – just ask renowned designers Tinker Hatfield and Eric Avar. 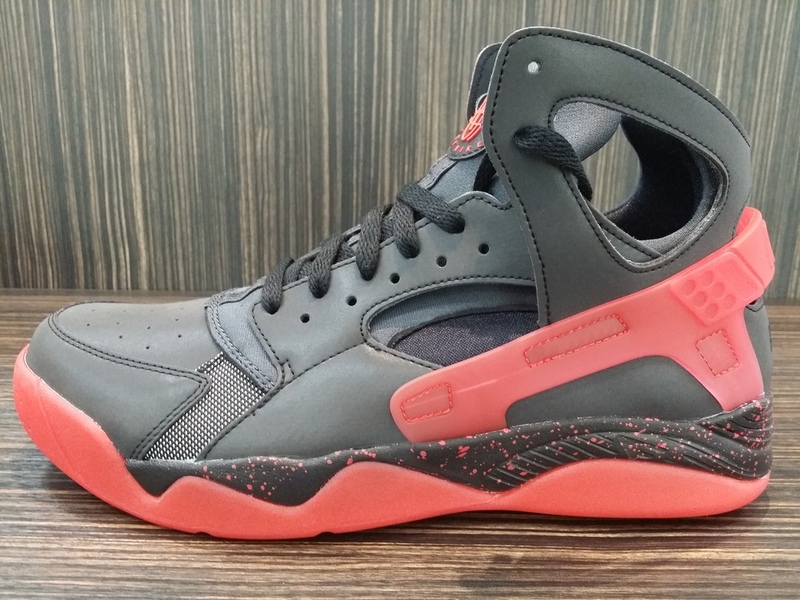 With the simple notion that “less is more,” they would go onto change the landscape of basketball and cross-training with the creation of the Air Flight Huarache and Air Trainer Huarache in 1992. Today, both revolutionary designs return to the culture’s forefront, while retaining what made them great. 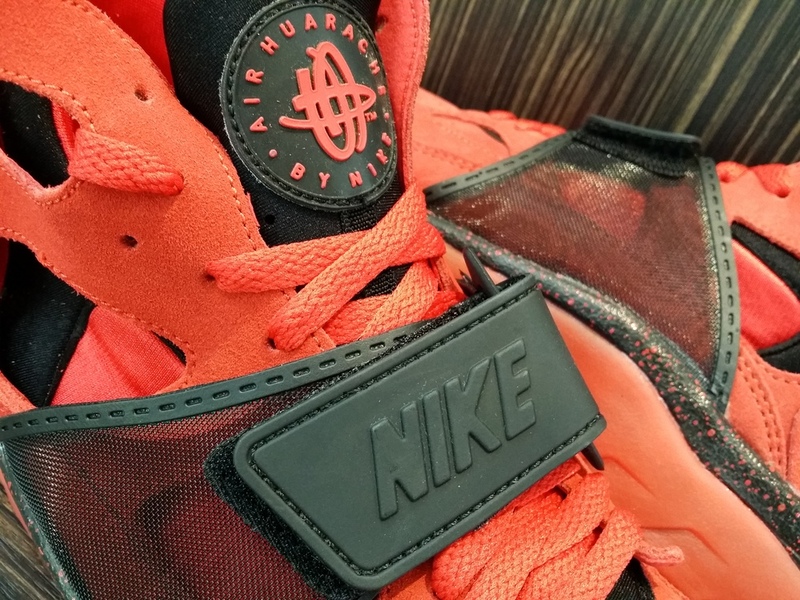 A hardwood classic, the Air Flight Huarache emits cold tones with a reflective, all-black leather exoskeleton. Inspired by the fit of a waterski boot, a black neoprene inner-sleeve can be seen through mid-foot cutouts, reducing the amount of material while maintaining its structure. 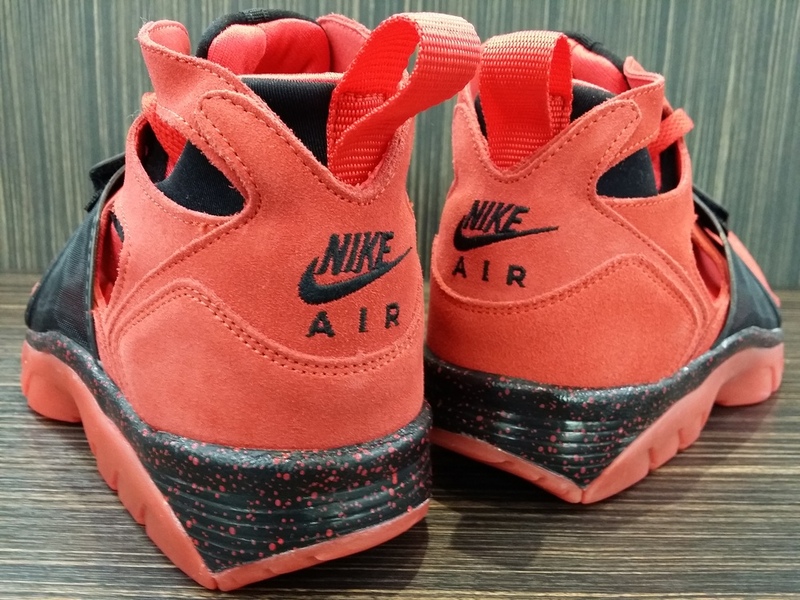 A speckled midsole with red accents around the heel and outsole add small punches of color. 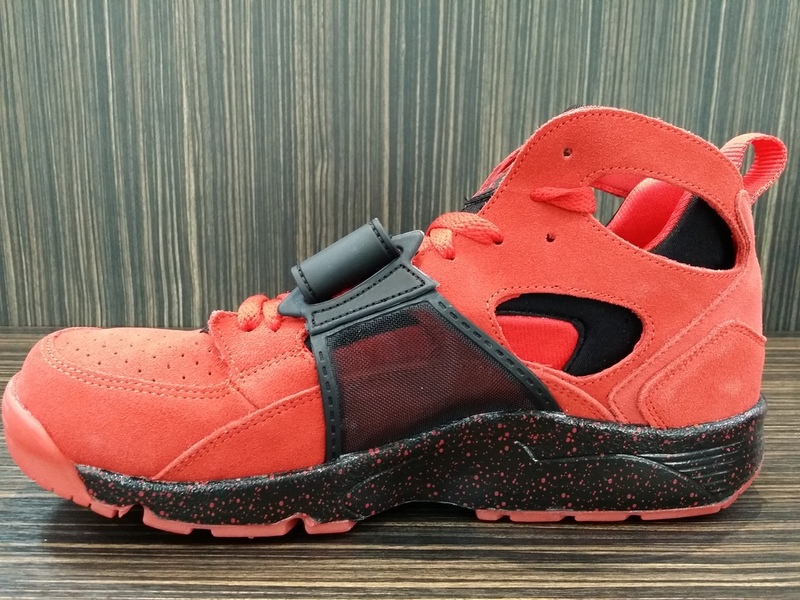 Conversely, the Air Trainer Huarache fuses softer materials with a warm, all-red suede design. Mirroring the same cutouts and sole treatments of its counterpart, a red and black neoprene bootie retains its innovative fit. Completing the design, a black forefoot strap delivers the lockdown stability that has made the legendary silhouette one-of-a-kind. Click on the images and check out the Private Details, Stay fresh and show the post some LOVE.